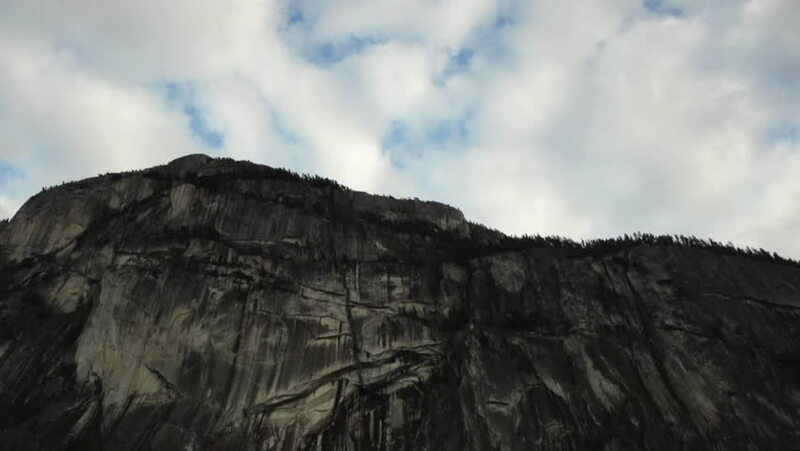 Dramatic shot of clouds whipping by a darkening sky, as the mountainous rock face of the Stawamus Chief Mountain, looms predominantly in the foreground. Filmed in the Squamish, British Columbia. hd00:08timelapse of a cloudy sky behind a silhouette rockwall. Shot in 4k.